My screen was not that big so I could use the carosoule. 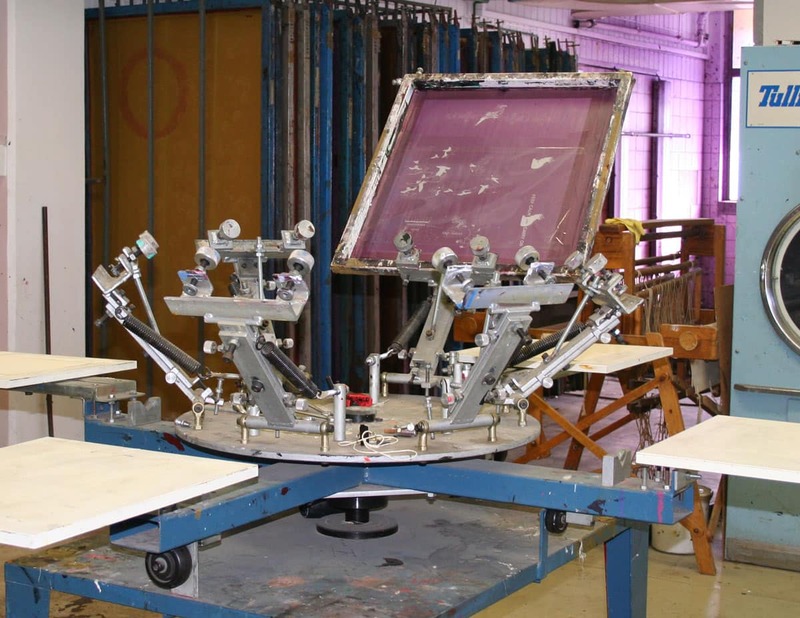 The carosoule is usually used for printing t-shirts becuase you can lay them out on the 4 paddles (which are flat rotating disks) and simply pull the screen down and print. It is simple, quick and set-up friendly. I used one screen for all the designs to save on materials which meant that I needed to block out the areas that I would not be printing. You do this with clear packaging tape and acetate. 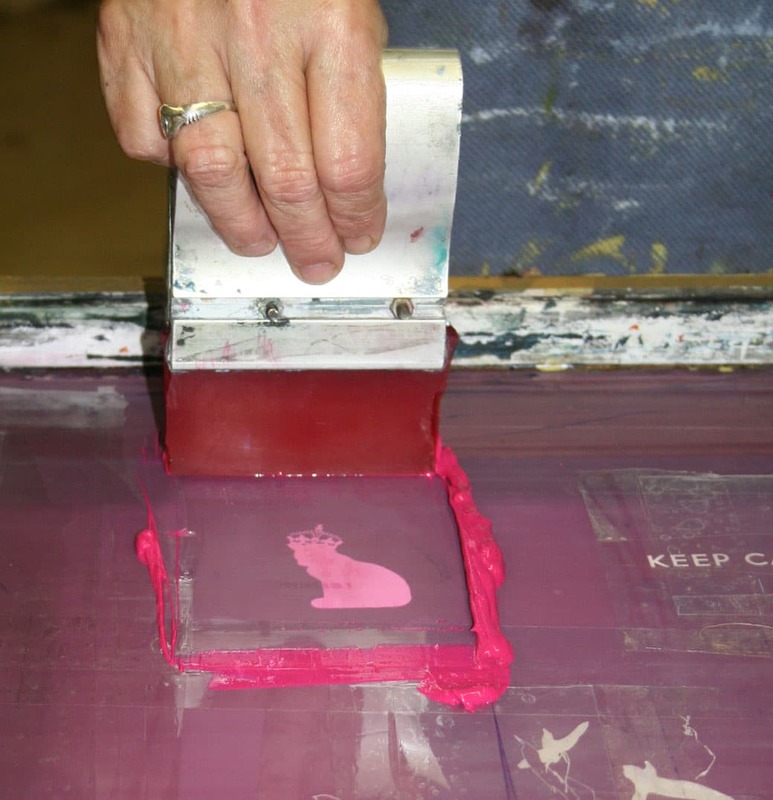 To print you add a blob of your ready-mix dye and push/pull the dye through with a squeegee. 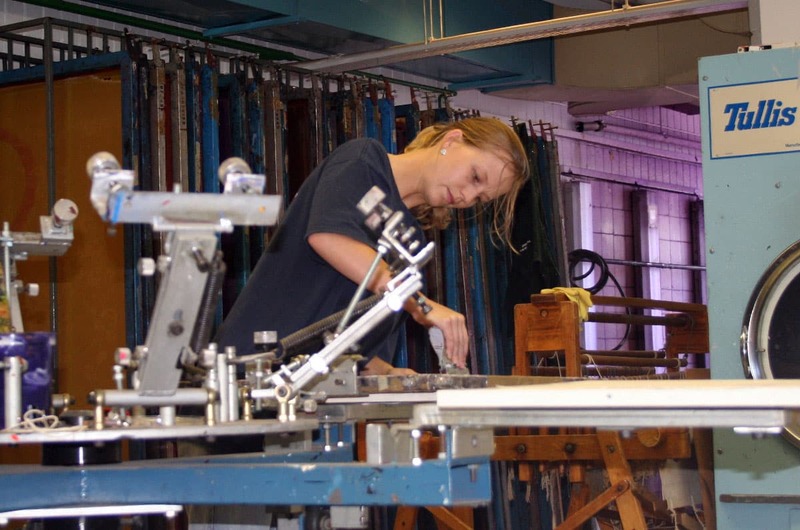 Depending on the detail of your design the angle that you pull the squeegee and the number of pulls varies. 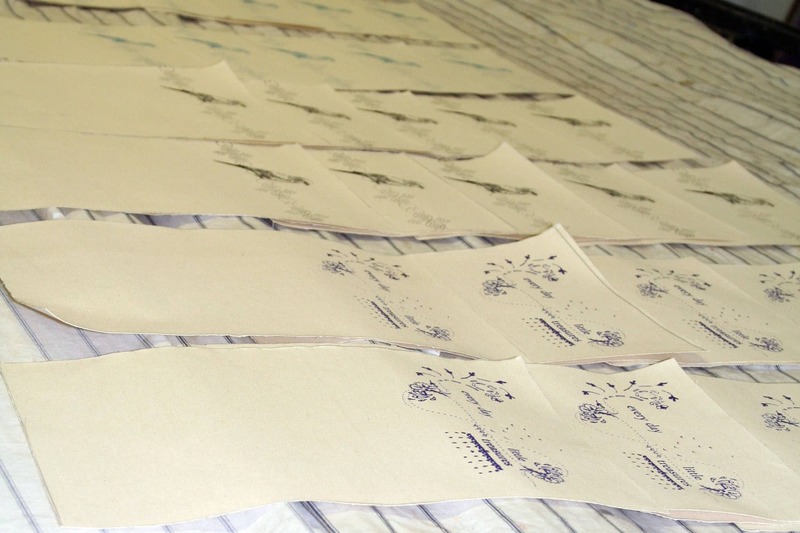 I pulled through three of four times at a very upright angle in order to achieve the fine detail needed especially for the ‘Little Treasures, Every Day’ design. One at a time the coffee clutch designs emerged. The dye is set either by putting it into that huge tumble dryer you can see behind me or by fiercely ironing. Now all I had to do was to iron the coffee jute sack backing into the printed fabric and sew. 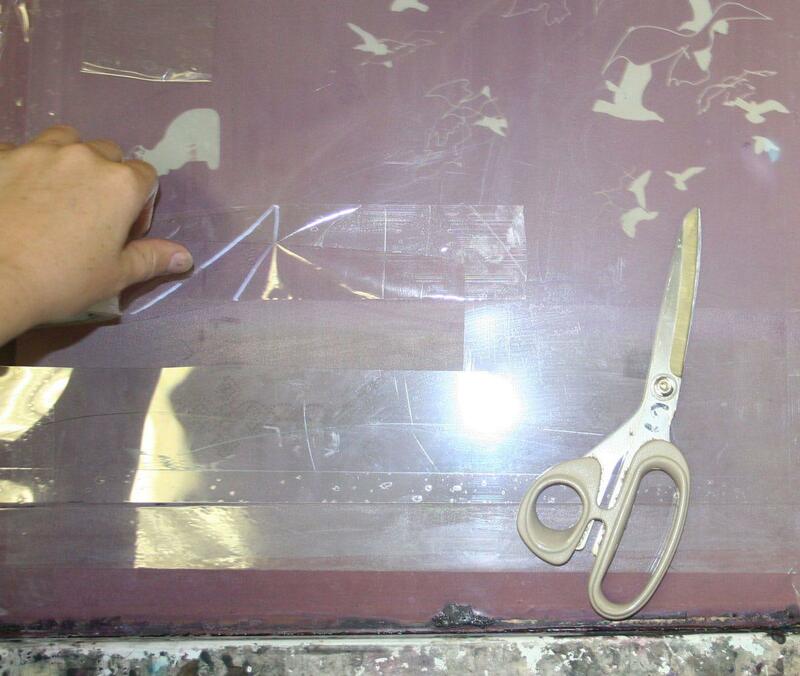 This entry was posted in DIY Projects and tagged How to, screen printing. This is so cool! I’d really like to do it myself too. Wow…thatÂ´s so cool! You are so creative! thanks for sharing the process! i never knew that’s what it took to print. very cool. hope you are well.